Thirty-two giant, plastic, chain links, 96 oversized, plastic nuts & bolts and 18 chunky, soft, vinyl blocks add up to lots of successful connecting and stacking practice and color matching. 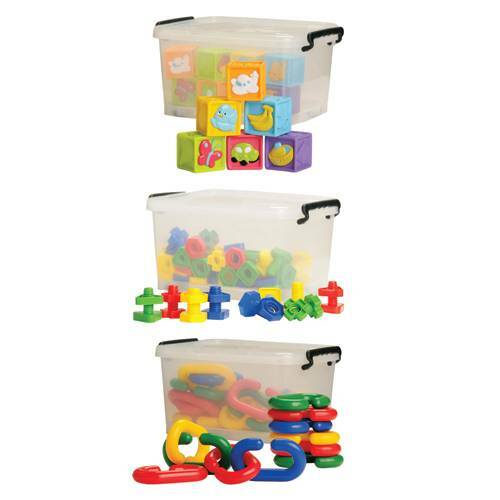 All 3 washable sets come individually packed in tubs with snap-on lids. Ages 2 yrs. +.